The benefits of honey for beautiful smooth skin has been documented in numerous studies. My skin glows after I use a honey facial. However, when you pair honey with kelp, essential fatty acids, and vitamins....you get an antioxidant, exfoliator, and moisturizer all in one treatment. In fact, the FDA approved a special medical grade honey (Leptospermum honey) for burns and wounds. Physicians are now using a special active form for wound and burn dressings in hospitals and rehab clinics. What makes it so special? This simple food has been associated with many healing properties and is known to help remove impurities and toxins and speed up the rejuvenation process. 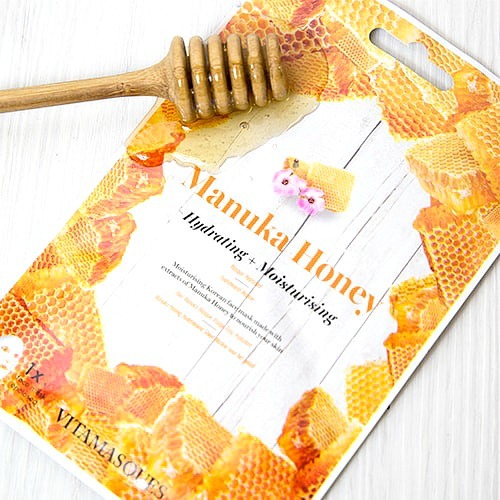 Many women find this Manuka honey very helpful for aging or dry skin. One of the extraordinary benefits of this kelp and honey scrub is that cleans, hydrates, and unclog pores from head to toe. So what makes this honey scrub special? It's rich in soothing essential fatty acids and fat soluble vitamins - along with brown sugar to really get those pores clean. What’s even better is when you combine honey for skin regeneration along with a alpha hydroxy facial scrub. I like to give myself a facial scrub then once all the pores are clean and your skin is primed - follow up with a soothing honey mask! What a great combination not just for aging skin, but for damaged skin like eczema, psoriasis, and skin rashes. Honey For Aging Skin - Results? What happens when you use active honey? Don’t believe it? Try it…… Use one mask per week and see/feel the difference. What about the honey as a moisturizer? Honey helps to deeply moisturize and hydrate. Honey is a natural humectant which is why it makes a great natural moisturizer. The results? Plump, supple, soft, dewy skin. Especially, if you apply the honey mask right after exfoliating with the sea salt crystal scrub. Return to Home Page for more videos and instructions for younger skin.